Jack Ma has alot of reasons to celebrate. In addition to turning 50 last week, his company Ali Baba – of which he’s been CEO for 15 years – had the highest U.S. initial public offering of all time. This effectively makes him the richest man in China with a net worth of approx 22 Billion dollars. It’s safe to say the man knows a little about success in business. So with that said, the quotes below will hopefully teach you a few lessons on both. If there are over 90% of the crowd saying “Yes” to approving a proposal, I will surely dispose the proposal into the bin. The reason is simple: if there are so many people who thinks that the proposal is good, surely there will be many people who would have been working on it, and the opportunity no longer belongs to us. 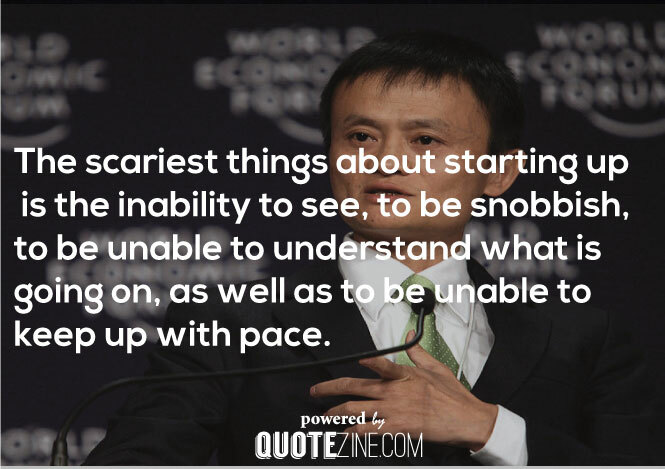 The scariest things about starting up is the inability to see, to be snobbish, to be unable to understand what is going on, as well as to be unable to keep up with pace. You should find someone who has complementary skills to start a company with. You shouldn’t necessarily look for someone successful. The most unreliable thing in this world is human relationships. Today is cruel, tomorrow will be worse, but the day after tomorrow will be beautiful. Always let your employees come to work with a smile. Customers should be number 1, Employees number 2, and then only your Shareholders come at number 3. Adopt and change before any major trends or changes. Forget the money; Forget about earning money. If you do not know where your competitor is, or overconfident and snobbish about your competitor, or are unable to comprehend how yourcompetitor became a real threat, you will surely fall behind him. Don’t be the “they” in this idiom: First they ignore you, then they laugh at you, then they fight you, then you win. Even if your competitor is still small in size or weak, you should take him seriously and treat him as a giant. Likewise, even if your competitor is massive in size, you shouldn’t regard yourself as a weakling. Free’ is the most expensive word. 30% of all people will never believe you. Do not allow your colleagues and employees to work for you. Instead, let them work for a common goal. 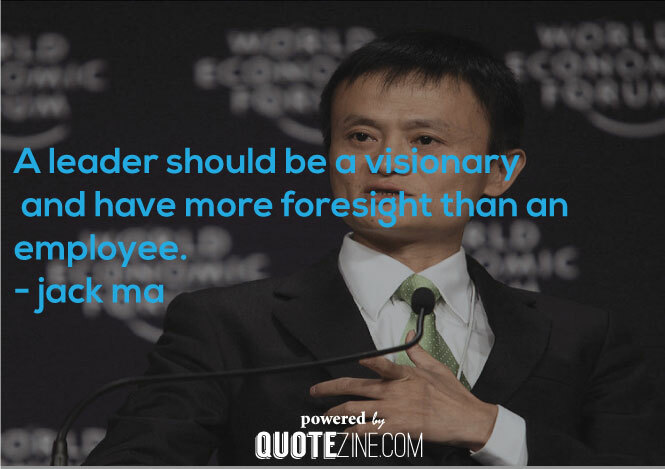 A leader should be a visionary and have more foresight than an employee. 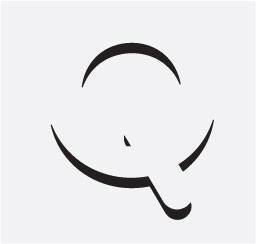 What starting your company means: you will lose your stable income, your right to apply for a leave of absence, and your right to get a bonus. However, it also means your income will no longer be limited, you will use your time more effectively, and you will no longer need to beg for favours from people anymore. If you have a different mindset, you will have a different outcome: if you make different choices from your peers, your life will then be different from your peers. A leader should have higher endurance and ability to accept and embrace failure. A leader should never compare his technical skills with his employee’s. A real businessman or entrepreneur has no enemies. Once he understand this, the sky’s the limit. I absolutely don’t have $20 billion. But I’d love to, right?